Wonderful vacation home with view of the sparkling pool and lovely Lake Cay. 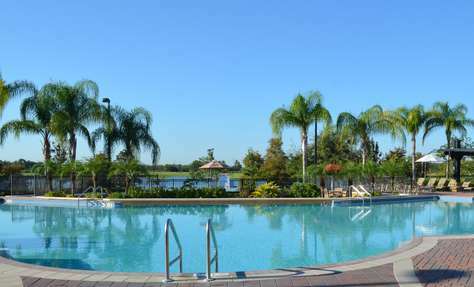 You will surely enjoy all Orlando has to offer: wonderful weather, relaxation and fun year-round. No detail has been overlooked; come and find out for yourself! My family of four was so happy with this condo! It was clean (and I am a clean freak, very picky about these things), and well stocked right down to the soaps in the bathrooms. We also appreciated the lovely welcome basket as well as the drinks in the fridge - that was a nice touch. I loved sitting on the balcony in one of the comfy chairs and reading my book while enjoying the gorgeous view. The Vista Cay complex itself was very well-maintained. We had a great time in the pool and hot tub, and our teenagers enjoyed the various entertainment that was provided poolside. And it was conveniently located near the parks, shopping, and restaurants. We would definitely stay there again if we return to Orlando! 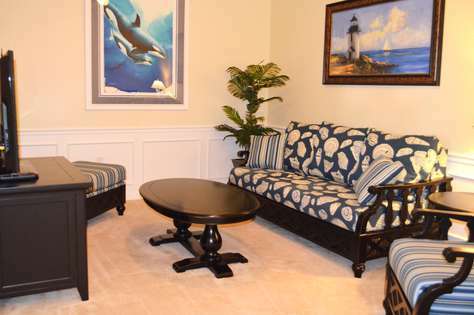 This is the perfect unit at Vista Cay Resort. Working with the management company was such a delight and I would book through them again in a heartbeat. This particular unit looks exactly like it does in its pictures, but also feels very warm and inviting. We were blown away with it's location, views, and comforts of home. We'll stay here again for sure! Whenever we visit family in Orlando, this is where we stay. It is our home away from home. It's always clean and comfortable and we are treated like family! We like being within walking distance to Publix and the liquor store and pizza shop. Our morning always begins with a walk around the lake - it is so beautiful. We have a lot of family in the area so don't do a lot of the local attractions. The unit is spacious and we love having the family come over. This place was fabulous! Directions were perfect, code to get in worked great, plenty of parking, fabulous view, beds were extremely comfortable, location was perfect (set between Sea World and Universal Studios), they supply plenty of soap, shampoo, conditioner, dish and wash detergent, Wii games were perfect, plenty of room for our family of 4 and the in laws. I would highly recommend this place and hope to stay there again. This is a great place to stay - so much nicer than a hotel when staying for a week! The condo was great, very clean, plenty of room. The people at ITZ were very helpful and even had a welcome kit for us. Highly recommend. Location is epic for either a tour of the theme parks or if you're there for a convention. Can't wait to go back. By far the best condo we've stayed in. The staff thought of everything when prepping the place for the week. They even had a gift basket to welcome us. If we come to Orlando again this will be the only place we stay. This is the 3rd or 4th time we've stayed, and we will keep coming back. It's a pleasure to stay here because it's so clean and they think of everything. Just bring your clothes, toiletries and some food and you're all set. We always feel safe and comfortable. Spent a lot of time at the pool. We were here for a visit with family so didn't do any attractions, but there are many restaurants, shops and attractions nearby. We just arrived home from our Orlando vacation.....and I cannot say enough about how wonderful this condo was---from the minute we walked in the door we were greeted by an extremely clean and wonderfully furnished unit--and I don't know that you could have found a better view from any other condo in Vista Cay. So much to comment--first of all Yvette at ITZ Vacation Properties was such a pleasure to work with! The grounds of Vista Cay were immaculately kept and the pool area was beautiful. There was a small lake with a walking path behind the condo and it was great for a quick run in the morning. The condo was stocked with everything you could possibly need and honestly you couldn't feel more at home. There were board games, puzzles, movies, plenty of beach towels and even pool toys! Vista Cay itself is a gated location and the location is fantastic--our big joke of the week was that EVERYTHING in Orlando was located within15 minutes (or less). That includes Disney, Universal Studios, Sea World, Outlet Malls, tons of dining and even the airport. 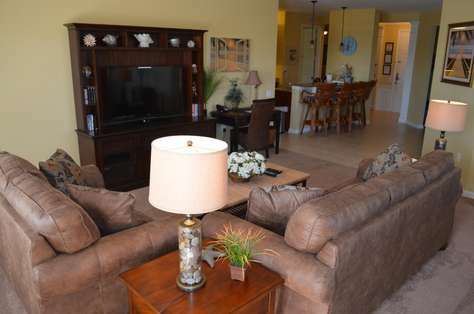 When I travel to Orlando I will look no further than Vista Cay, ITZ and this property !!! "WOW!!" - this place is stunning and is everything it says it is and more. From the moment we opened the door to this unit we were impressed with the quality and spaciousness of the unit. Everything was finished to a very high standard and was very well appointed. It was an absolute delight to stay in this luxurious and expansive apartment. The Vista Cay complex itself was also amazing with the grounds immaculately kept and always clean and tidy. The pool complex was superb and bigger than we had anticipated. We experienced no noise or distractions from the pool area in our 7 nights there. Having the supermarkets and shops within easy walking distance was an absolute bonus. For our family of 5 it cost us about US$20 for a taxi one way to Universal Studios, and there is a direct phoneline in reception to the Mears taxi/limo company. We had to wait no more than 5-10 minutes each time. Car parking at Universal is $20 a day by comparison. 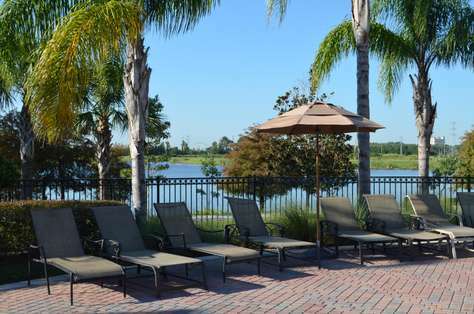 I would STRONGLY recommend this unit to any prospective visitors and suggest it would be hard to find better in terms of quality & location in Orlando. We would happily return if ever back in Orlando. Excellent base for a family holiday, perfect location and amenities. Our 2nd stay at Vista Cay and we will be back. As soon as we opened the door we felt at home. 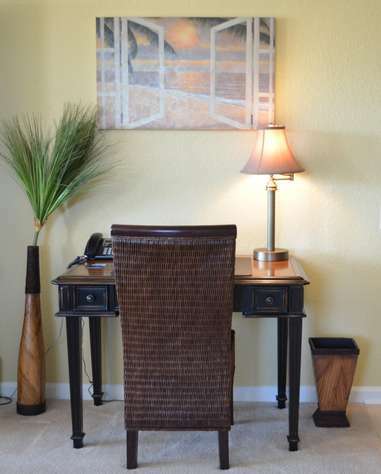 The unit has a great floor plan with tasteful and comfortable furnishings. 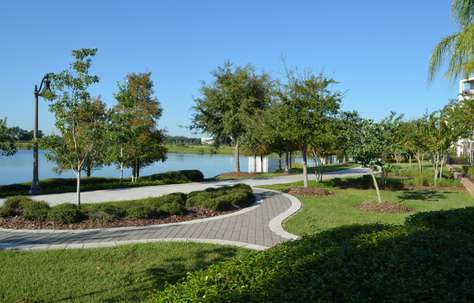 In addition to the lovely pool, the nature walking/running trail surrounding the lake provides a great way to get some sun and exercise. The location near the 528 Beachline , I-4 interstate and International Drive was perfect for us. Our two week stay flew by. We hope to return in 2017. This was such a wonderful place! We all enjoyed the property. Thank you for your attention to detail. I have to say, I'm so glad I did my research , this was the place to stay. The pictures didn't do it justice. spacious, clean , updated, to our surprise each closet/drawer provided us almost every comfot and necessities we could've wanted and also glad to not have to buy.. Pool floats, Toys, books, games, DVDs ...even a soft cooler to use at the parks..all very thoughtful in making our vacation a great one! And the bedding...just cozy and perfect, nothing beats a good nights sleep after the parks..all the comforts home were carefully thought out for our stay.opened the On arrival cold drinks in fridge..a beautiful snack gift basket to welcome my family definitely put a WOW factor on our faces. Our family was very impressed with this condo. It was very spacious and the view of the pool and lake was beautiful. Having a washer and dryer was a great option as well. The pool had a full bar and game room. 5 stars! We went in with a bit of skepticism. We wondered how such a perfectly situated, beautiful place could be so economically priced. 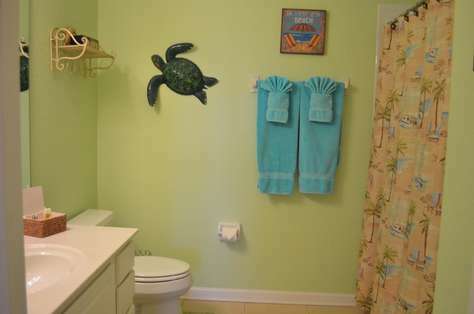 When we arrived, we walked into a very tastefully decorated vacation home. There was a much appreciated welcome gift, and truly every single thing that could be thought of to make our stay worry free was there. Even still, we kept thinking...something has got to be wrong for it to be so reasonably priced. We spent a few days at the pool in addition to traveling to the parks. The location made it super convenient to get everywhere. The pool was awesome and the pool bar got much use from us!! By the end of our trip we finally realized there was no other shoe to drop and no surprises...it truly was everything it appeared to be and more. There is not a doubt in our minds that we will return to this unit...we can't wait!!! We have stayed in at least 10 VRBO homes and condos over the past 5 or 6 years and the Vista Cay condo was the best we have ever rented. The unit was large, nicely decorated and well equiped. They even had beach towels and toys for my grandchildren. The kitchen was well supplied including laundry and dish soap. My wife loved the enormous master bath, and the study with the hide-a-bed off the entrance provided an extra sleeping area. The balcony had nice lounge chairs and a lovely view of the pool area and lake. ITZ Vacation Properties made the whole process simple and easy. We highly recommend this property. Our condo here at Vista Cay was beautiful. Very comfortable and near all amenities and attractions. 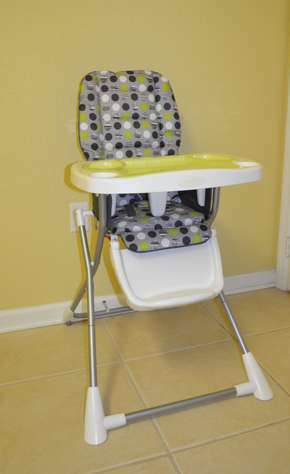 It was very spacious, clean , met all expectations and more. The rental company was great to deal with and we would certainly deal and book through them again. This was our 2nd time renting this same property in less that 6 months. Just as great this time. 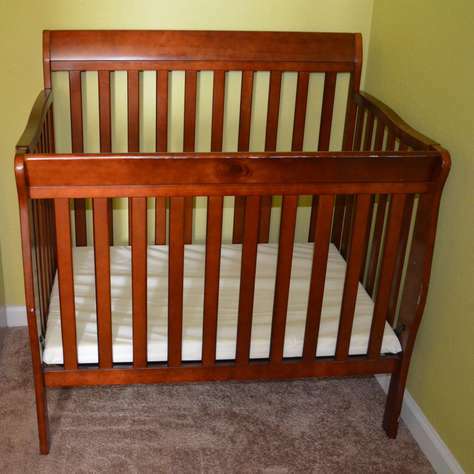 The condo is very comfortable and delightfully furnished. ITZ Vacation Properties makes the whole rental process extremely easy from start to finish. The condo was extremely clean. You can tell the people they have cleaning their units take pride in the service they provide! 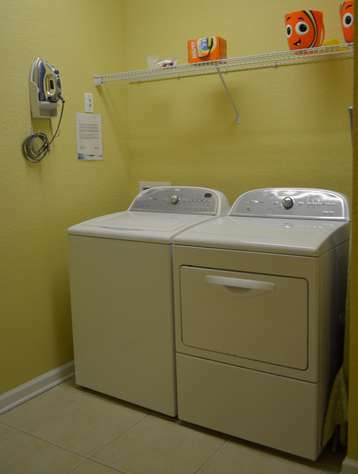 Every amenity is thought of, from plenty of extra linens, to laundry detergent and dryer sheets for the full size washer and dryer. They even had extra batteries in 2 or 3 sizes, I'm assuming for remotes, etc. We will continue to rent from ITZ when we return to Orlando. 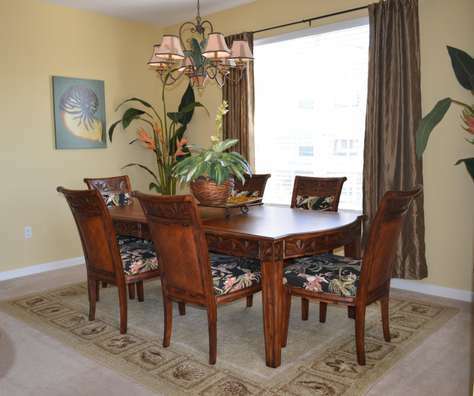 They rent several properties in the Vista Cay community, and I'm certain you could not go wrong with any one of them! Absolutely the best condo and way of serve and booking ever! I had this condo for my 1st time visit ever to USA and it was an amazing experience, I had no any issue to go through the booking and ITZ Vacation Properties made even easier and smooth. We arrived and found the exact pictures of what we saw in the website. Clean, ready with all the needs as start-up, toys and swim stuff for the kids and so many other stuff. Me and my family enjoyed every single moment in this property and If i ever think to visit again, I wont take a look at any other options, I will just go straight to this condo. P.S Any attraction you would know in Orlando is just 10-15min away from this living. Wow! 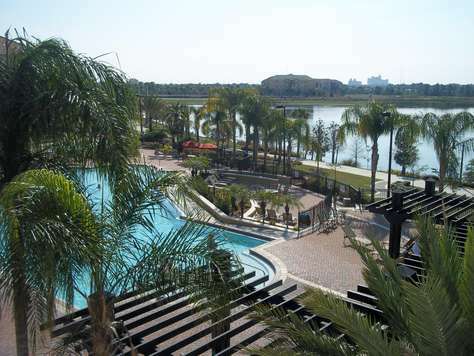 This condo was absolutely perfect as a home base to both the Convention Center and the amusement parks in Orlando, and even the Kennedy Space Center. The condo itself was beautiful, well appointed and relaxing. Its location within the complex was perfect. We were able to watch our boys swim from the deck that overlooks the pool. 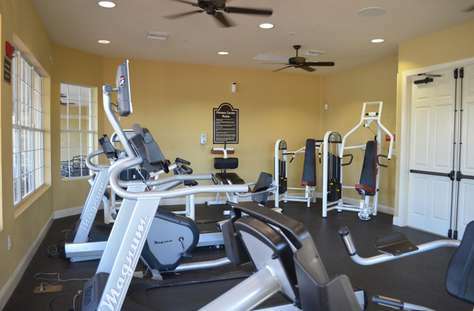 Its proximitiy to the club house made it easy to access the pool and workout center. The complex itself is just minutes from anything you would possibly want to experience in Orlando! Stayed here for a week in July and read plenty of reviews in regards to Vista Cay and this unit in particular so I was feeling pretty confident that our stay would be positive but I did not expect it to be exactly what I had read. First of all, the views from this unit were very nice as you got a view of the pool and pond. Rooms on the other side of the building only get the view of the parking lot. It was nice that we could all hang out together in a room (like the living room) or if we wanted to we could move to a room for some alone time. Having a tv in every bedroom was great and I found the mattress to be comfy enough to get a good night sleep. I was actually surprised by how stocked up the condo was with basic supplies like toilet paper and coffee. The only thing we really stocked up on was soft drinks. We were supplied with a complimentary gift that consisted of champagne and snacks which was a very nice touch. The unit was clean and everything that we used worked fine. My only complaint of the room is being on the 3rd floor we could hear the tenants from the 4th floor walking and moving their luggage around. Normally that would not bother me but I am a light sleeper and despite the fact that I am a morning person, listening to people walking before 5am got me up earlier than I wanted to be. Unfortunately I did not take advantage of the pool or clubhouse due to time constraint but it looked nice. The unit is in a nice location but you will need a car to get around. So, would I stay at this unit if I return to Orlando? Absolutely!! We stayed 9 nights in this fantastic condo. It was huge, much bigger than we imagined with lovely furnishings and huge comfy bed in the master bedroom. There were plenty of bath and pool towels and a washing machine and tumble drier which were handy too. The view from the balcony was amazing overlooking the pool and the lake, definitely the best view in Vista Cay. 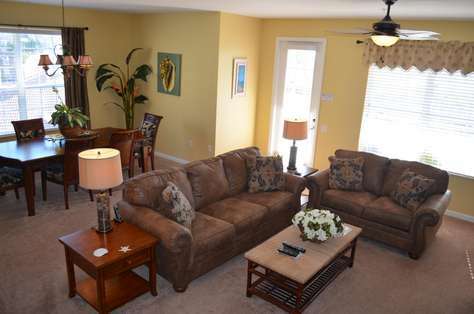 The location is very convenient, close to airport, 5 minutes from Sea World and Wet and Wild and !0 mins to Universal. We liked being on Universal Boulevard as it was very quiet but within easy reach of everywhere, and there was a Publix just round the corner. I would definitely recommend this condo and booking with IZT was very easy and straight forward.